Welcome to Great Barr Taekwondo School of Excellence, whether you are an instructor or student it is our hope that all of your goals are achieved while training with us. We train in ITF style Taekwondo. 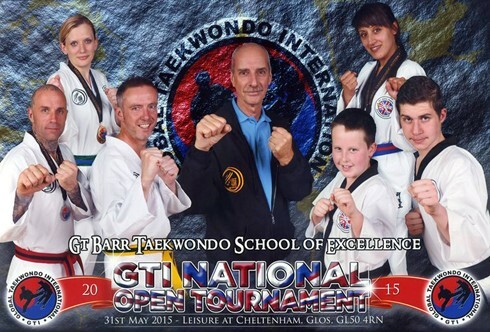 Great Barr Taekwondo School of Excellence was founded in 1999 by Master John Beck 6th Degree Black belt. Master Beck has been graded for his various Black belts by Grand Master He Il Cho 9th Degree Black belt Founder and President of Action International Martial Arts, Grand Master Willie Lim 8th Degree Black belt and President of Independent Martial Arts Europe and Master Kevin Summers 7th Degree Black belt, Founder and Technical Director of Independent Martial Arts Europe. We are affiliated to Independent Martial Arts Europe who are a none political association. There is no interference from anyone and no demands made of us, we are left to follow our path of the original Taekwondo syllabus to the best of our abilities. 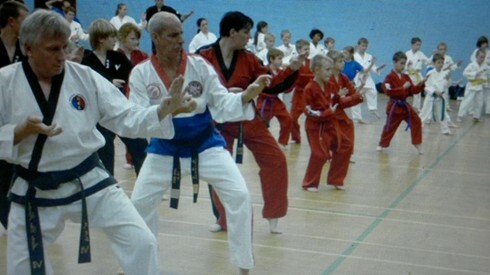 We are a family orientated club which caters for all grades: from the complete novice to the experienced, from the young to the not so young, and the fit and not so fit. We also have a LITTLE TIGERS CLUB (first 2 lessons are FREE)where the very little ones aged from 5 yrs upwards can come along and train and have fun.Our aim is to provide every individual with the tools and support to further their physical and mental development. We have regular certified gradings. We hold Seminars, Competitions and various courses including First Aid and Instructors all of which are voluntary. The most important thing to remember is that you are training to be the best that you can be for yourself and not to compare yourself to others, so come along and have fun while learning to defend yourself, build your confidence and fitness, meet new friends. There is no pressure on you to do things, you train at your own pace in a friendly atmosphere but get the same results. Why not come along, take a look and have a chat with Master Beck or even join in and take advantage of the 2 FREE LESSONS in the senior classes without obligation? You have nothing to lose but everything to gain. We hope you can find everything you need. Great Barr Taekwondo School of Excellence is focused on providing high-quality service and customer satisfaction - we will do everything we can to meet your expectations. With a variety of offerings to choose from, we're sure you will be happy training with us. Look around our website and if you have any comments or questions feel free to contact us, by viewing our contact page here. To get involved, or if you have a question or query please do get in touch with us. We hope to see you again! Check back later for new updates to our website. There's much more to come!